This contest is to show everyone your creative side! 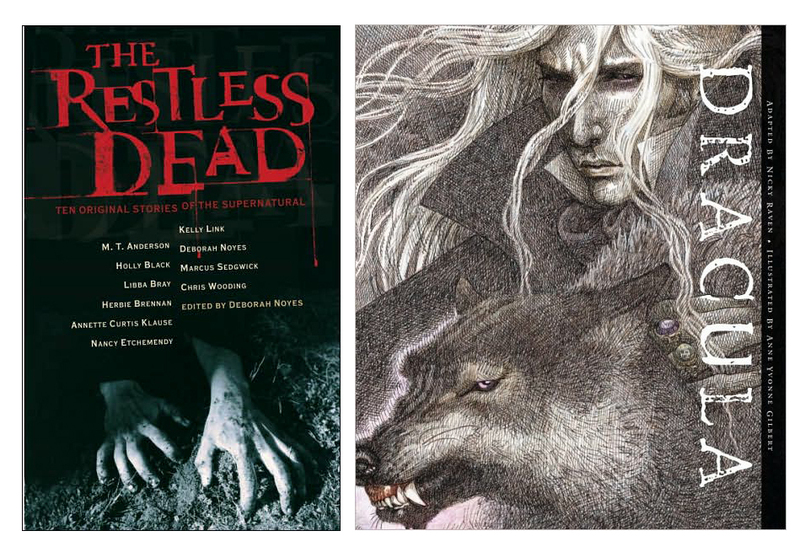 We're looking for anyone who would like to enter by making a cover from scratch - something that's scary from the title to the art. If you had a scary story or book, what would you think that cover would look like? Show us, share with everyone for your chance to win. There will be 3 rounds of voting. Each new round begins on a Sunday and ends the following Friday. swag picture will be posted soon. * The covers should reflect what you would want if you were to write a scary or paranormal book. * The book cover must have a title. * An alias can be used as your "author name". 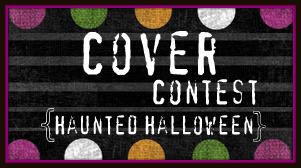 *Note: If you enter both the Cover contest and Story contest, you can post both entries together and they can be titled the same. 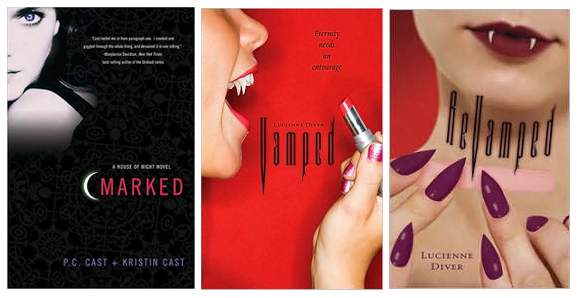 *Note: The covers will be voted on by others (not Jessica or myself). The covers with the most votes will go onto the next round. * You must be at least 13 to enter. * The entry form must be filled out. * One cover entry per person. * Entries must be posted on your blog, or emailed to one of us by Friday, 10/15 (Email addresses listed below). 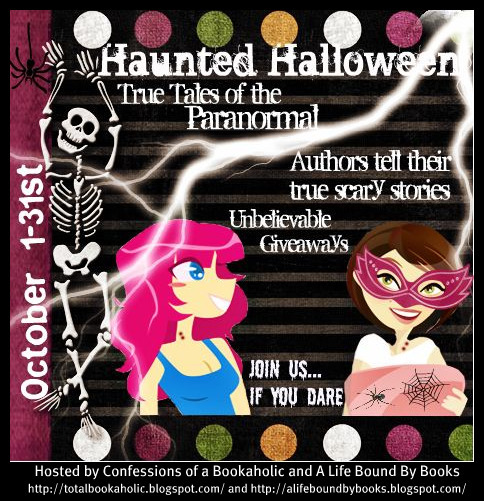 * Contest is US ONLY and ends October 31st. * Once contacted the winners will have 48 hours to respond with their mailing address. Once you have posted your entry on your blog or emailed it to us, please fill out this form. * This is the same form found at Confessions of a Bookaholic. Please only fill it out once. Thanks and good luck! 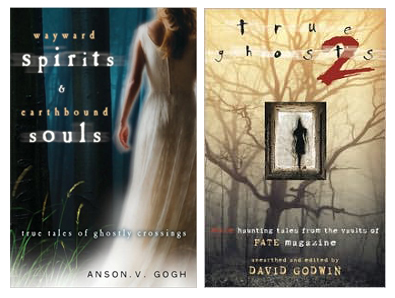 Have a spooky or creepy story stuck in your head waiting to get out? How about something scary or freaky that happened to you that you can't explain and you've just been waiting for the perfect opportunity to tell? Well, now is the time, this is your chance! * The story must have a title. * Stories must be at least 300 words and not to exceed 600 words. * Stories must be posted on your site/blog so people can vote. *Note: The story will be voted on by others (not Jessica or myself) so the stories submitted must be on a blog where they can be read. If you do not have a blog, and have a friend who may let you post on theirs, that is fine. You may also use an alias but please make sure it matches the name you submit in the form below. * The entry form must be filled out by Friday 10/15. * One story entry per person. 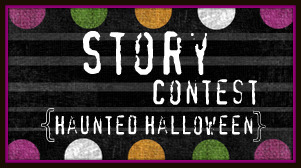 * Stories must be posted on your blog by Friday 10/15. * This is the same form found at Confessions of a Bookaholic. Please only fill it out once. Celebrating September - Contest #13 - ARC's Up for Grabs! Yes. 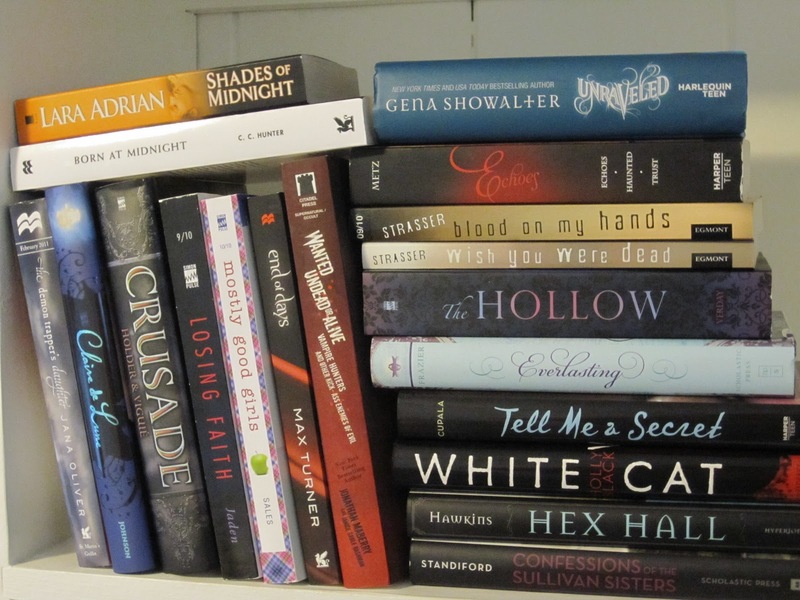 All the books there are up for grabs! 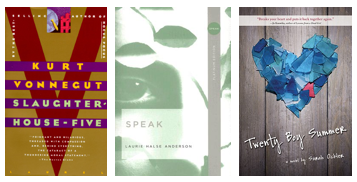 Three Winners And ALL are ARC's!!! First place winner gets 6 books and some swag! Second place winner gets 4 books and some swag! Third place winner gets 3 books and some swag! 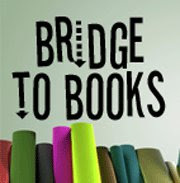 First place winner gets 6 books of their choice. 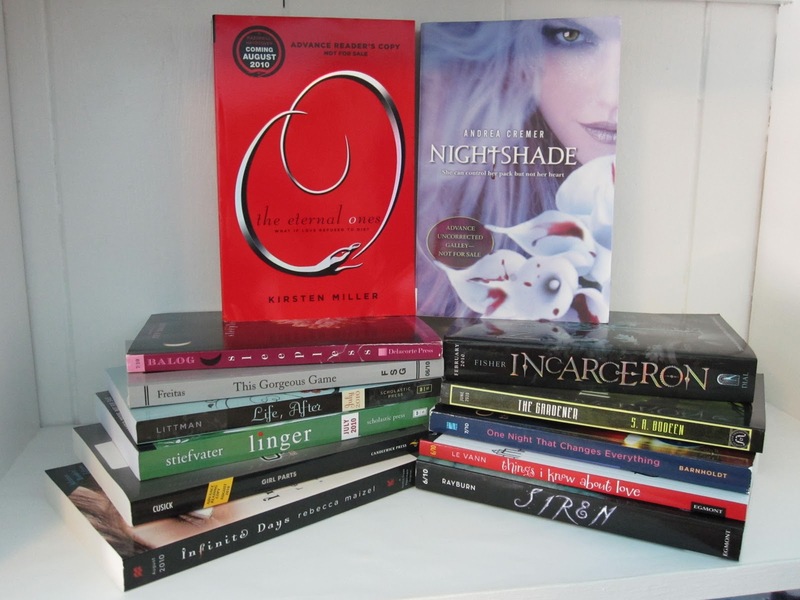 Second place winner gets 4 of the remaining books of their choice and the Third place winner gets the remaining 3 books. Plus each winner will get some random swag thrown in. As always, there's a form to fill out. No entries in comments please. Comments are welcomed and loved! This Contest is open to US and CANADIAN Residents only - Sorry! Thank you to everyone who's entered all the contests throughout the month. Good luck to each of you! As always, winners are chosen at random, using Random.org. 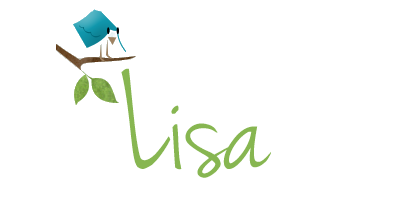 If you have any questions, please feel free to check my policy page or feel free to email. Tomorrow starts another HUGE month long event that's being hosted here and over at my BFF's Jessica's Blog - Confessions of a Bookaholic. We've been working hard for weeks now and we think it's going to be pretty amazing. So, be sure to come back to check out all the amazing posts and yes, some AMAZINGLY HUGE contests. The amazing sounding books just keep coming - here's another to look forward to. The idea of a boarding school with a secret society to 'police' their fellow peers sounds like a must read to me. Let me know what you guys think of this one. His eyes fluttered open. They were unfocused. "Moon.... maiden....." he murmured. Perhaps I looked like the moon, with my pale, round face hovering over his. Most likely he was half-dreaming. I was so glad to hear him breathe and speak that I put my hand to his cheek. "Thank you, Lord Manteo," I whispered. I'm only about 70 pages in yet and I have to say... I usually have a hard time getting into or enjoying books that are historical novels. However, this one has totally sucked me in. I am really enjoying it. 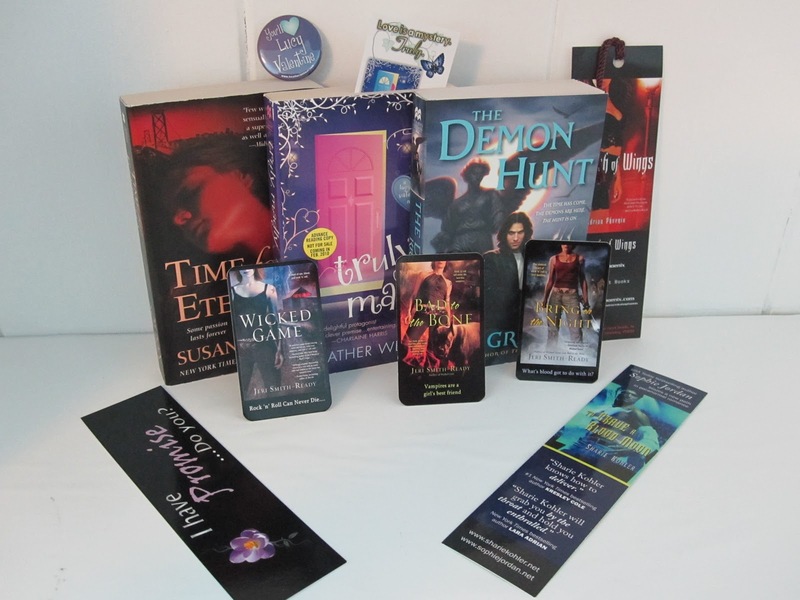 Celebrating September - Contest #12 - It's a Supernatural Prize Pack! It's getting closer and closer to the end of the month and with that comes the end of my event. Sad, I know. However... there's still time for another contest or two!! It's been such a fun and amazing month and well, lets keep it going with another one. Thanks to all my followers, New and Old! And with that, here's the goods on contest #12. 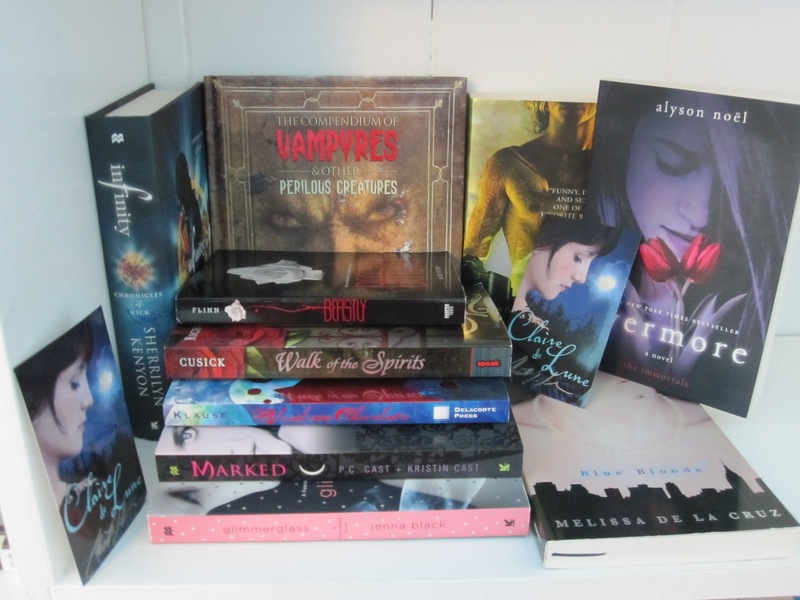 10 Supernatual books up for grabs! TWO Winners! + 2 Signed Claire de Lune Bookplates and misc. other swag! As I said above - there will be TWO winners! First place winner will get 6 books, a signed book plate and misc. swag. 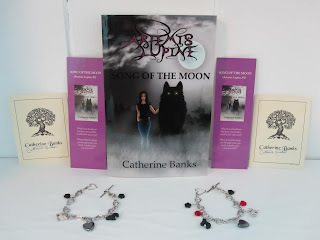 Second place winner will get 4 books, a signed book plate and misc. swag. Here's how this contest will work. I'll put numbered post-it's in each book. 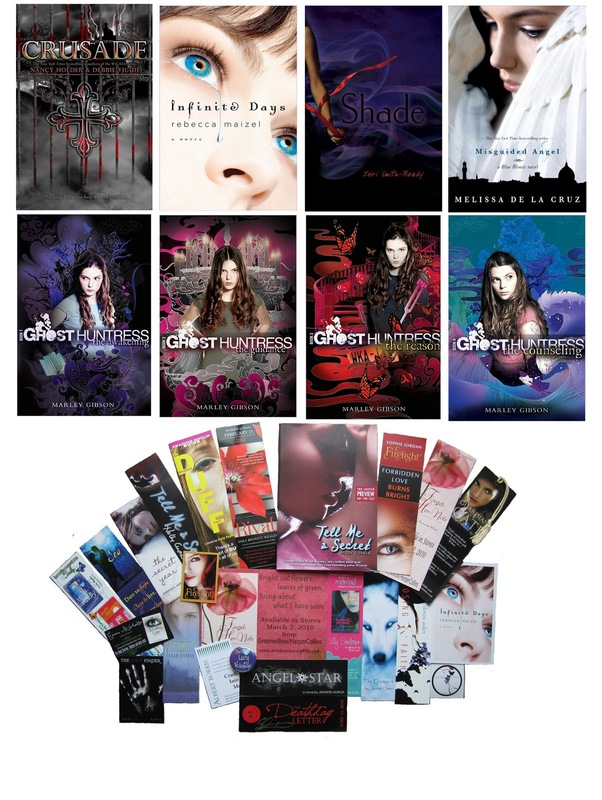 The first place winner will get get to choose 6 numbers and will win those books, the second place winner will win the 4 remaining books. 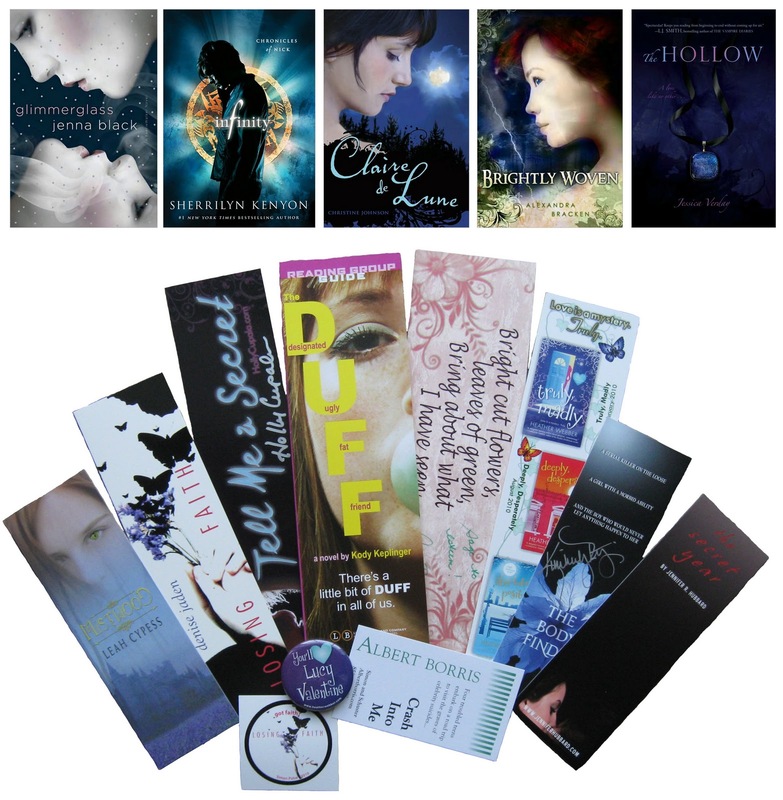 Each winner will get a surprise as to which books they have won when the packages arrive. Sound good? I hope so! As always, there's a form to fill out. No entries in comments please. Trust me, it'll help you to prevent spam. This Contest is open US and CANADIAN Residents Only - Sorry! THIS CONTEST IS NOW CLOSED!!!!! I wish each of you much luck in this contest! Thank you all for entering. As always winners are chosen at random via Random.org. If you have any questions, please check my policy page or please feel free to email me. I think I have ONE more contest up my sleeve for this month... then next month more fun and some major contests coming up, but more on all that soon. Because I've been running so many contests this month... I figured it would be easier to group announcing the winners into of a couple contests at a time. So, if you know one has ended please be aware that I might not post who the winner is until a few days later. And now on to the good stuff! CONGRATS to each of you!! All winners have been contacted via email. 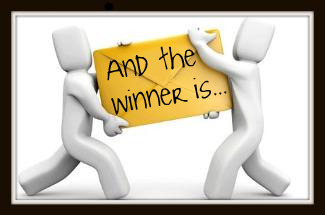 Please check your spam and if you have NOT received an email about your contest win, please try sending one to me. Hotmail can at times be a fickle thing and likes to not send or receive emails.You have 48 hours to respond from the time of this post. If I don't hear from any of these winners another will be selected in their place. As always, winners are chosen via Random.org unless otherwise stated. Any questions please let me know. If you didn't win any of these contests, not to worry! I still have many that are running and maybe even a few more around the corner! Check out my September Contest Post for all the updates. It was a slow week, but a good week. Sorry about the lack of a picture. I just ran out of time. Busy, busy busy!! Thank you goes out to Ednah, Kurt and Simon Pulse! So, that's what I got this week, what all did you guys get? I also wanted to say that I'm sorry things have been a little slow around here this week. I've been busy getting things ready for the Halloween Event that Jessica and I have been working on for the last few months. It's been crazy around here, but were both excited at the fact that we'll be able to share it all with you starting next week! We can't wait! So, please bear with me... Thanks!! I don't want to forget to say a Hello and Welcome to all my new followers... as well and a Thank You to those of you who have been around for awhile! I hope your all having a great weekend! Celebrating September - Contest #11 - The Lost Saint By: Bree Despain + Nail Polish Prize Pack! I'm really excited for this contest and I'm happy that I can finally share it with everyone. Ah, yes, I've been holding back on you! And It is a copy of The Lost Saint you see there in this post. 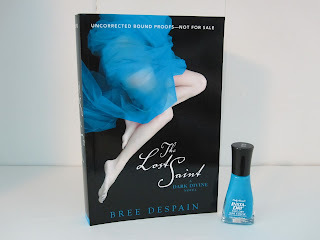 And yes... ONE winner will receive an ARC copy of the Lost Saint (I was lucky to receive two copies) and a bottle of blue nail polish that I think is pretty close to matching the cover. I took the lead from The Dark Divine nail polish and thought I'd go out in search of a blue that matches for this giveaway. Filling out the form is the only way to enter. Comments are always welcome, just please... no entries in comments. Thanks! Contest is open to INTERNATIONAL! Check out my review of The Dark Divine. Good luck to you all!! As always, winners are chosen using Random.org. If you have any questions, please check my policy page or feel free to email. Thanks to everyone who enters! Synopsis: On the surface, Emily Meckler leads the perfect life. She has three best friends, two loving parents, and the ideal setup at the Connecticut prep school where her father is the headmaster. But Emily also suffers from devastating nightmares about fire and water, and nobody knows why. Then the enigmatic Del Sugar enters her life, and Emily is immediately swept away—but her passionate relationship with Del is just the first of many things that aren't quite what they seem in Emily's life. As the lies she's been told start to unravel, Emily must set out to discover the truth regarding her nightmare; on a journey that will lead her to question everything she thought she knew about love, family, and her own idyllic past. Review: 4 Stars - Where the Truth Lies by Jessica Warman might be a companion novel to Warman’s previous novel – Breathless – however this book has the writing, characters and plot to firmly stand on its own two feet. With twists and turns that were often shocking and sometimes heart wrenching, I found myself feeling for the characters as they made more then a few extremely hard choices. Lies, betrayals, cover-ups and more are the building blocks in making the story and characters what they are. 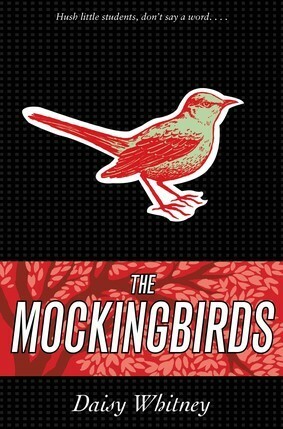 Each character – main and side - had something hidden about them and as things began to unravel and layers were peeled away, reveling some strong yet wounded teens and even some of the adults, we were able to get to the core of what was the driving force for some of the decisions made in the present and in the past. Our main character Emily was kind of hard to grasp in the first part of the book. She seemed like such a people pleaser and really I felt she was almost trying to hard to be perfect that I just couldn’t seem to relate to her at all. Once Del enters her life she breaks free from that need to be perfect mold. I felt she was still good, but acted more like a carefree teenager at the same time. Del, the new kid in school was a mystery wrapped within it’s self. He has many issues in his life and we learn some but not everything. He’s got his scars, but I think that as a surprise even to him - Emily was able to bring out not only more of who he really is and wants to be, but who he could be. The interaction between Emily and Del was sometimes frustrating because you could see Emily questioning things, but never asking them and if she did ask, would he answer? 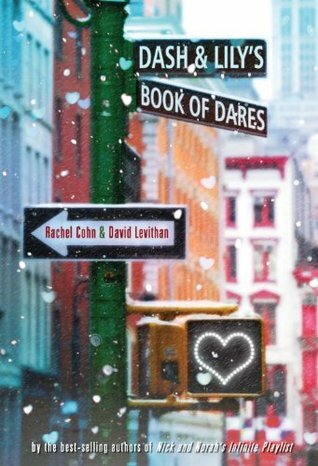 The side characters were entertaining and gave me as a reader a chance to see Emily change as a person, as we all do and how her relationships changed with each of her friends and roommates. 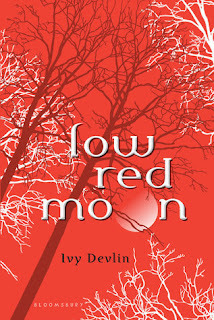 Emily has a life filled with lies, betrayals and cover-ups and things only get worse as the book progresses. One of the many plots that she goes through, I didn’t see coming. It was shocking to me to watch her deal with it all and though I didn’t agree with some of choices she made, I think she did the best with what she was up against. The main issues are something that many teens these days will unfortunately be able to relate to. When truths come out you could almost feel the characters emotions shift on those last few pages of the book. All in all, Warman has written a story telling what the effects of such lies create for everyone and how the emotional affects can be carried from one person to the next. How people change and grow and that it’s okay and how you don’t have to be alone to deal with the big stuff that life can throw at you. 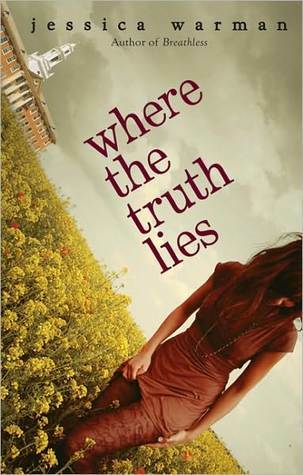 Where the Truth Lies was shocking yet telling and I enjoyed unraveling the book from its pages to see who the characters really were at the heart of things. I’m looking forward to reading more from Warman in the future and Breathless – thankfully is sitting one of my shelves, Happy reading. When throughout the writing process did you know you wanted to write a companion novel to Breathless? Can you tell us about the process and how that happened? Sure. When I finished writing “Breathless,” there were a couple of characters – Mazzie and Renee – who I really wanted to explore a bit further. Renee has a small role in “Breathless,” but she’s one of the major characters in “Where the Truth Lies.” She also happens to be based on somebody who I am quite close with in real life. The process was very organic; the idea for the book just sort of presented itself to me… all I had to do was get it down on the page. If any of your characters could walk off the pages of the book and be real – whom would you want that to be and why? That’s an interesting question, because so many of my characters are based on people who I actually know, or have known in the past. But if I had to choose a fictional character to become real, it would definitely be Del Sugar. He is my favorite character hands-down. I’ve written so many short stories about him prior to writing “Where the Truth Lies,” and I even wrote an adult novel (that has never been published) about Del as a grown-up. I simply adore him. It would be such a thrill to see him come to life! Being that you attended a coed Boarding School – as do your characters in both Breathless and Where The Truth Lies – is there anything within both or either that are based on true events? Could you share your favorite line or passage from Where The Truth Lies? What did you find was the hardest part in writing this book? Being a companion novel and the process throughout the writing of Where The Truth Lies? To me, the editing process is always the hardest part of writing any novel. Writing the first draft – that’s easy, because the material is new, and it’s such a thrill to be caught up in the story. But once the first draft has been written, my editor and I work together to polish the manuscript as much as possible. It becomes very difficult – at least for me – to read the same book over and over again, trying to look at it critically in order to improve it. Trust me, after seven or eight reads, it becomes grueling! Could you tell us a little about what you’re currently working on and when we might get a chance to read it? Yes! I just finished up my third novel, called Between, which will be out next year. I can’t tell you how excited I am about this book. The reception for it is already somewhat overwhelming. It’s been sold in ten countries so far, which is incredibly exciting to me. I cannot WAIT to see how readers respond! 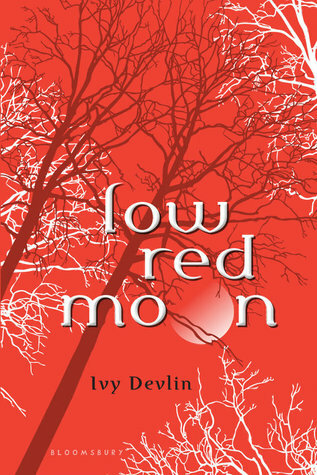 Beyond that, I also have a fourth novel, which is still untitled, scheduled for release in 2012. Between will be out Fall of 2011. Thank you so much for stopping by Jessica! It’s been great! 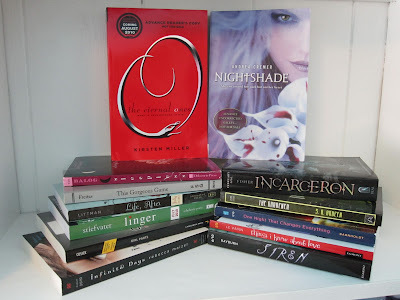 Celebrating September - Contest #10 - It's an Adult Book/Swag Prize Pack! 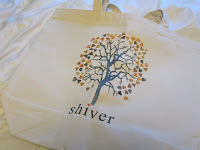 And to keep this month long party going to celebrate my 1st Blogoversary, my Birthday and all of amazing followers - why not do it with another contest? 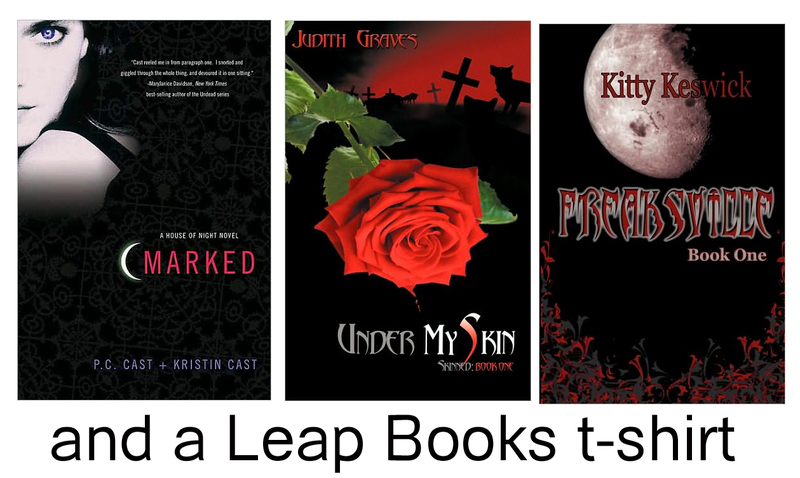 Yep, I'm going to spread some more love and this time it's with some Adult titles! Thought I'd change things up a bit. I mean I think it's time for an Adult Prize Pack, don't you? ONE winner takes all! 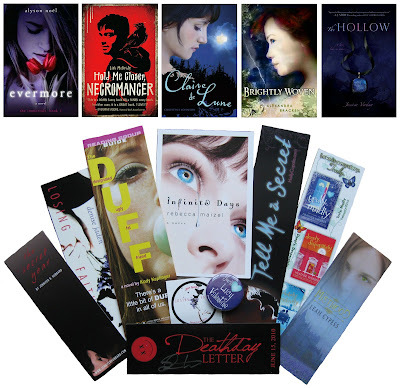 Three books and lots of swag! 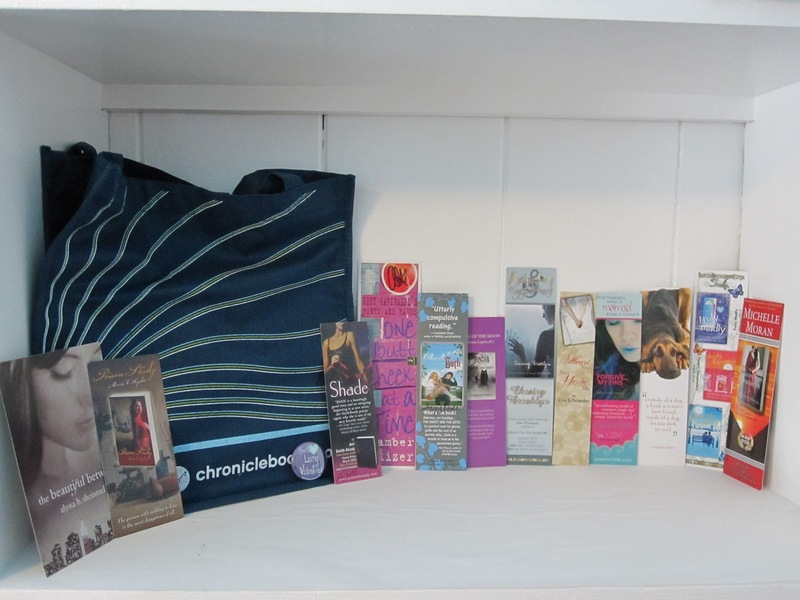 Here's what the winner of this Prize Pack will take home. And all the swag you see here! Again, I might have other swag that I'll throw in, but everything seen here will be included in the winners package! Contest is open US and CANADIAN residents only - sorry! A HUGE thank you to each of you! Good luck to everyone who enters. Since the month isn't over, there's still a few more around the corner. As always, winners will be chosen via Random.org. Any questions, please let me know. Enjoy and Happy Reading! It's time for another contest - and up for grabs I have a Chronicle Books bag and tons of swag! Everything you see here all goes to ONE winner! 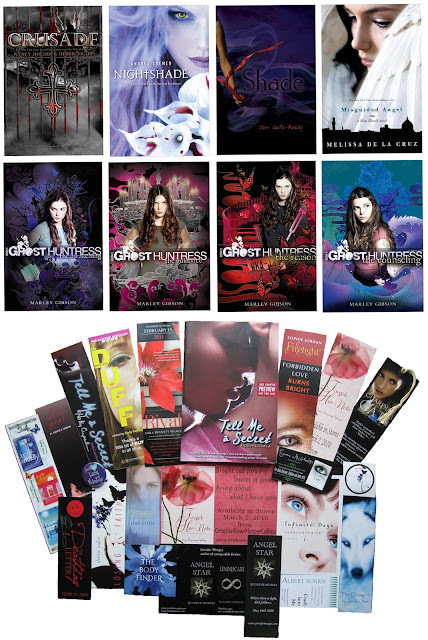 There's some great signed stuff in there too - Shade, The Ghost and the Goth, Chasing Brooklyn bookmarks.... and more signed! And who knows, I might have some other swag that I'll added in there as well. You must fill out the form to enter. Please, no entries in comments as they won't count. Thanks to everyone who enters and Good luck each of you, and nope... not the last yet. What's coming up you ask? You'll just have to wait and see. As always, please check my policy page for any questions, or feel free to email. All winners are chosen via Random.org. 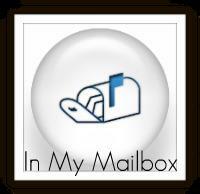 Since I didn't have an IMM last week because I was crazy busy around here, I though I'd combine the last two weeks mailbox's into one post. And with that.... here's everything that I received over the last two weeks. 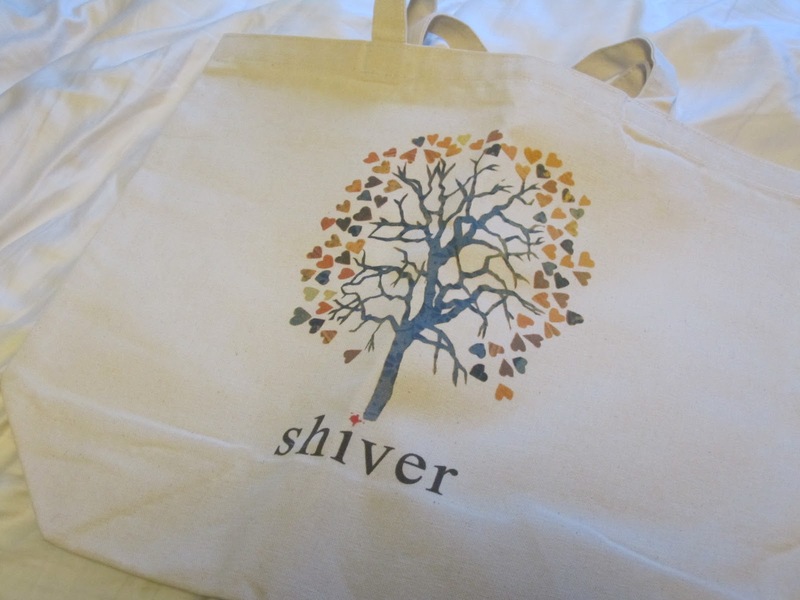 This awesome Shiver Tote bag from my BFF Jessica of Confessions of a Bookaholic - She was so sweet in sending this to me for my birthday! I love, love, love it! Thanks again Jessica!! Two HUGE amazing weeks for me. 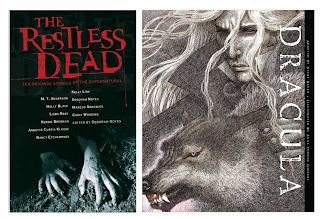 Some great books that I can't wait to start. Now, to find more hours in the day to read. lol There are a few other things here that were received, but I can't tell you about that yet because it's being saved for next month! So, what all did you guys get this week? I hope you were all as lucky as I was. Happy Reading!